If you have a fence – either chain link or wood – on your property, you might be worried that a nearby tree could grow through it. 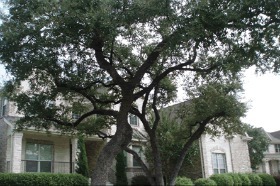 Trees typically grow in whichever direction offers the greatest nutrients, moisture and sunlight. If this happens to be in the path of your fence, a tree may damage it. You can prevent this from happening, however, by following these steps. A good rule of thumb is to create a 3-foot clearance around your fence. This means that nothing should grow, other than grass, for at least 3 feet on either side of your fence. If you see weeds, bushes or saplings emerging, clear the area so that they won’t grow farther towards your fence and jeopardize its structural integrity. In addition to maintaining a 3-foot clearance, you should also surround your fence with mulch. Some homeowners assume that mulch is only useful in flowerbeds. While certainly beneficial in flowerbeds, mulch has dozens of other applications. It discourages new trees and other plants from growing, for example. You can use this to your advantage by create a thin layer of mulch around your fence. With mulch covering the soil, new trees are less likely to emerge and threaten your fence. Of course, you can prevent trees from growing through your fence by removing encroaching branches. In most cases, trees damage fences by growing limps through them. Therefore, you should cut down and remove any branches you see growing towards your fence. The longer you wait to remove an encroaching branch, the greater the risk of it damaging your fence, so cut down branches as soon as you see them approach your fence. Another way that trees can damage fences is by fallen branches. If a tree branch overhanging the fence falls, it may damage the fence. So, take a few minutes to inspect the tree and see if there are any overhanging branches. 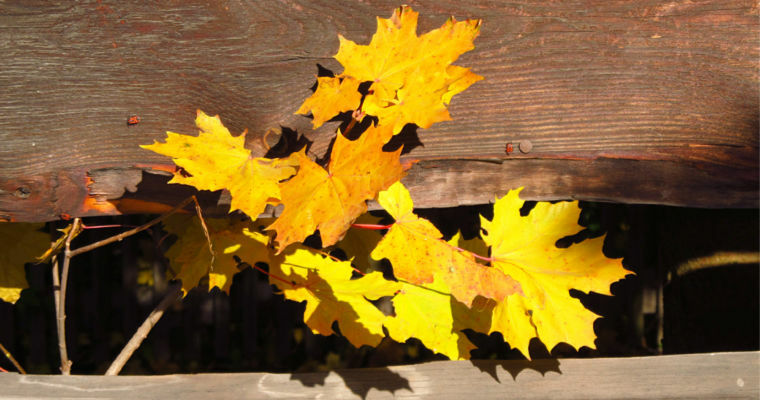 Any medium- or large-sized branches overhanging your fence should be removed. Whether metallic chain link or wood, property fences aren’t cheap to build. You can prevent trees from damaging your fence, however, using the landscaping tips mentioned here. Just remember to maintain a 3-foot clearance, surround your fence with mulch and remove problematic branches. Thanks for pointing out the need to remove any large, overhanging branches on your fence as it may damage your property. My mother has a lot of trees in her yard, and one of the fruit trees on her land is getting dangerously close to her fence. 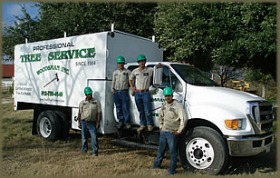 To avoid any potential damages, I will be sure to advise her to reach out to a tree trimming service as soon as possible.